Gathering data online is my primary research activity these days, but there’s something special about holding a historic book, letter or photograph in your hands. This was brought home to me recently when I revisited a stash of letters from my grandparents and great grandparents. I had glanced at them several years ago, but never read through them, let alone transcribed any. Among the various old professional and personal letters was a manila envelope with a short note on it, written in my great-grandmother Edna Valentine’s handwriting. It said simply, “I have known good people.” Inside was a collection of letters from family and friends, stretching from 1900 into the 1960s, covering a wide variety of topics. Reading through them, it was easy to understand why they were special to Edna, for each letter had some unique element that communicated the writer’s humanity and connection with her. They made for several hours of fascinating reading. 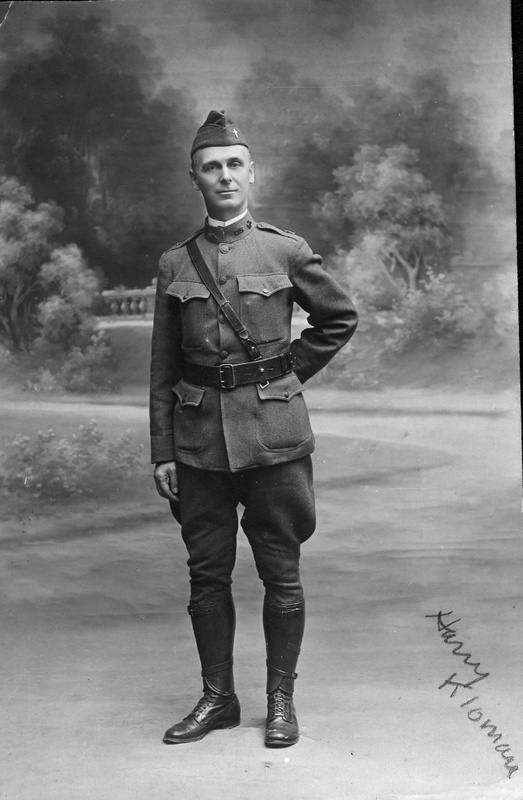 While nearly all of these letters might warrant it’s own essay, one that stands out is from Edna’s brother in-law, Henry “Harry” Felix Kloman, written from the front lines of World War I in November, 1918. 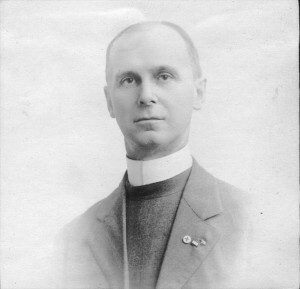 The Reverend Henry Kloman was born in Warrenton, VA, in 1870. In 1895 he was ordained by the Episcopal church, and in 1900 married Eleanor “Nell” Marshall Trapnell of Charles Town, WV. The last month of the war we operated on 1077 cases & I had 227 burials… We were & are yet constantly in wind & rain. We wade in mud, sleep in mud, eat in mud. There is no escape. We were always within range of the enemy guns & frequently shelled & bombed…as I went over the battlefield we saw most awful sights, many of our own boys…were lying unburied where they had fallen two & three weeks before, some bodies only in part & no possible way of identification. I buried all we found. While Kloman goes on to describe further scenes of battle and death, he does so with no comment about what, if any, emotional toll this is taking on him. At one point he does say that if he’s going to be in this war, he’s glad to be at the front lines, indicating he was rather alright with the whole thing, or at least wanting to be in a place where he could be of greatest service. After the war, Kloman returned to Fargo, and then to a number of parishes in the mid-Atlantic region. He died of a stroke in 1942 at the age of 72, a year after his wife. Hi – I am married to Edward Mark Jenkins, Sr., who is Anne Hunter Kloman Jenkins’ son. I have been researching his family genealogy. I am looking for any information (especially pictures) you have for Eleanor Marshall Trapnell (Anne Hunter Kloman’s mother). I appreciate any help you can provide. Thank you.